Use both ranged and melee Physical Attacks to engage enemies. Activating Fury greatly increases Physical Attack and Attack Speed. This arrow can split into up to 5 separate arrows depending on the number of enemies on the field. Be equally adept at handling a long spear to inflict Physical Damage on nearby enemies. 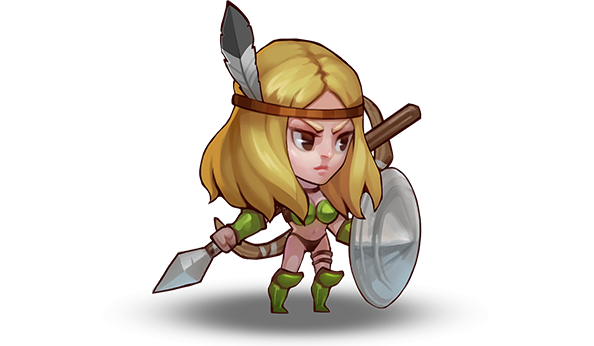 The Amazonian's feared reputation can demoralize the enemy party, weakening their Physical Armor.